Currently browsing posts filed under "Music"
Jesse Winchester ’66 kicks off his spring tour this weekend in Ontario. But fans of the songwriting Eph needn’t fear that Winchester will be reprising the 36-year absence from the United States that began when he fled the Vietnam-era draft: upcoming dates include April 5 in Chicago, April 12 in Philadelphia, April 13 at the awesome Jammin’ Java in the Virginia suburbs of Washington, DC, and May 27 at the Rubin Museum of Art in New York City. Winchester’s schedule will also take him to Michigan, Texas, the Netherlands, and to JazzFest in New Orleans. For those unfamiliar with Winchester’s sound, he visited NPR’s World Cafe in 2009 to promote his most recent album, ﻿Love Filling Station, and his 25-minute appearance can be listened to there. Help out some Ephs! “we’ll respond to each post with an expression of our undying gratitude.” !!! Vote for Darlingside at South by Southwest! Darlingside needs your help! We’re finalists in PickTheBand’s competition for a special showcase slot at Austin’s South by Southwest Music Festival during our March Tour (not to mention $10,000 in Sennheiser recording gear). This SXSW showcase would give us an enormous boost in exposure to new fans and industry professionals. Voters will also be entered for a chance to win 4 tickets to the four-day festival, plus flights and ho…tel lodging. Leave a comment on our wall letting us know that you voted, and we’ll respond to each post with an expression of our undying gratitude. Saturday, January 22: Dar Williams (Wesleyan ’89). Tickets are a little pricey at $27 (student price), but she’s a terrific singer. Friday, February 25: The White Rabbits. Tickets are $20. Great indie-rock band from the Brooklyn scene. Saturday, April 9: Roger McGuinn. $35 for students. I know him from The Byrds, but have never listened to any of his solo stuff. John Morris Russell ’82 has been invited to fill the shoes of a legend. From 1977 until 2009, the Cincinnati Pops under the leadership of conductor Erich Kunzel produced over a hundred albums, many of them bestsellers, as they became leaders in popularizing orchestral recordings of film scores and Broadway music. Kunzel also made hundreds of guest conductor appearances worldwide, conducted the National Symphony in the annual Independence Day concert on the steps of the Capitol, and mentored Keith Lockhart of the Boston Pops and Steve Reineke of the New York Pops. Now it’s Russell’s turn — he’s been selected in a national search triggered by Kunzel’s 2009 death from cancer. 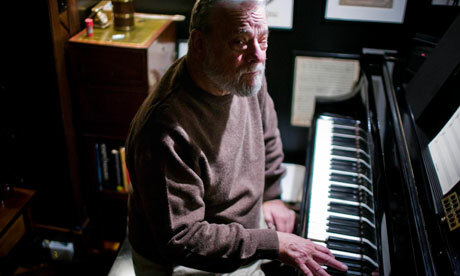 Russell was one of the favorites for the position, having been Associate Conductor of the Cincinnati Symphony Orchestra from 1995 to 2006 ((Although Russell is a native of Cleveland, which may have worked against him). In fact, Russell was actually already scheduled to be in Cincinnati this week as the guest conductor for their “Happy Holidays with the Pops” concert. Interesting YouTube video, initially posted in December, 2008, about hip-hop culture at Williams. Since I know nothing about hip-hop in general, let alone its presence at Williams, I’ll leave it to others to offer their views. My only real memory of hip-hop on campus from my time at Williams was the Tribe Called Quest / De La Soul show during my first year (I helped work the lights), at which, if memory serves, some of the performers were clearly disenchanted with the level of knowledge / enthusiasm from the crowd. Oh, and speaking of hip-hop, Kid Cudi played Towne Field House on Friday night. Any reactions / photos / videos from those in attendance? Molly Venter ’02, the ‘Mary J. Blige of Acoustic Folk’ has joined a band: Red Molly, where she replaces Carolann Solebello, a founding member. Intriguingly, Red Molly did not previously have a Molly. 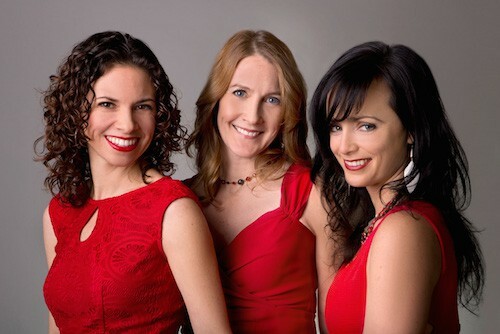 Red Molly self-describes as a “dynamic female trio” with “lush, distinctive three-part harmonies.” I can’t find any reviews of the group as it’s currently composed, but past praise of their “tick-tight arrangements, crystalline vocals, and caramel harmonies” from the Boston Globe is promising. Moreover, Venter should be fitting right in – during her solo career, she opened for Red Molly on several occasions, including, I believe, the one time I’ve seen either Venter or Red Molly in concert. Having recently returned from an Alaska tour (complete with moose) Red Molly has several upcoming shows in New England and near their New Jersey home base. They play a sold-out Old Sloop Coffeehouse in Rockport, MA tonight, followed by a benefit show at Pine Hill Waldorf School in New Hampshire tomorrow night. Then, on Wednesday, November 17, they’ll be at City Winery in Soho [www.citywinery.com] [115 Varick at Vandem, Metro: Spring St. A,C,E] . In addition, they have upcoming tours to the West Coast (including Seattle and the Bay Area), Florida, and the Midwest planned. (DC folks can look forward to a June 4, 2011 appearance at Alexandria’s legendary Birchmere). I heard that the Williamstown Jazz Festival, an annual event for over a decade, was canceled last year as a cost-cutting measure. I really hope the college reconsiders. Does anyone have memories of concerts they saw in unlikely venues at Williams prior to a band hitting it big? Dave Matthews Band performed my frosh year (January 1994) in Mission dining hall. Within another year, they would have been unbookable anywhere at Williams. 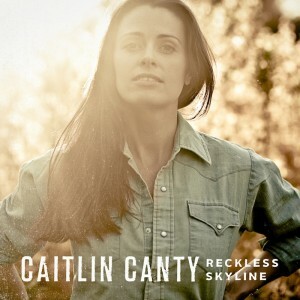 The string-rock quintet Darlingside and singer/songwriter Caitlin Canty will play a FREE album release show at Brooklyn Bowl and would like to extend a special invitation to fellow Ephs. All musicians are Williams College alumni from ’04-’09 and have been collaboratively writing music and touring the Northeast in recent months. The show will feature singer-songwriter performances as well as full band numbers. Both groups will be releasing new EPs at the show and invite you to celebrate with them. There is a SymphWinds performance this Saturday, May 8th, @ 8PM entitled “Aftershocks.” What’s really cool about this performance is that almost all the music is composed by students, faculty, and alumni, especially featuring two pieces by David Kechley, the chair of the music department. Written for the Opus Zero Band’s recent performance tour to Pennsylvania, Rush is a taut, lean, exhilarating work for only 13 players, showcasing the ensemble’s individual and collective virtuosity in a brief, but exhilarating romp. BANG!, on the other hand, is a massive, muscular, piece for large wind ensemble; written for, and premiered in 2005, by the Symphonic Winds, BANG! unleashes the power and intensity (as well as subtle beauties) of the modern wind band. I’m playing the synth part in BANG!, so I can say that the song is pretty cool sounding. My part is lame though–I count 90% of the time and play single chords the rest of the time. At the risk of self indulgence, but in hopes of adding a bit of levity (or at least diversion), I am going to cross-post something I wrote at dcat last night. I am doing so at the request of a regular Ephblogger. Just a note of warning: This has zero to do with Williams. In one of the (too) many magazines to which I subscribe they have a little feature where they ask a musician to listen to their iPod on shuffle for five songs, with no fast forwarding, and then to talk about each song. Part of the purpose is to get a sense of what they might actually listen to as opposed to what they might want everyone to think they listen to. But it also allows them to talk and think about music without filters. Sheila Chandra, “Speaking in Tongues,” Virgin Records: Signed, Sealed, Delivered 2: I have no memory of this “song” (which really is just this woman making weird percussive noises with her voice) and I have nothing interesting to say about it other than that I imagine that in anything but very small doses it would grow tedious. Nirvana, “Territorial Pissings,” Nevermind: Nirvana helped to transform the way many of us listen to music even if we did not know it to be the case at the time. What then seemed unbelievably raw holds up pretty well over time but there will always be a subtext, in listening to Nirvana, of melancholy over what might have been. Sol White (Quote From History of Colored Baseball, 1907) as Read by Ossie Davis from Ken Burns: Baseball Soundtrack: Ossie Davis is one of America’s underappreciated gems. Baseball is awesome. And this little excerpt from the soundtrack to Ken Burns’ monumental documentary on baseball is so brief that I’m already typing into the next song on the playlist. Neil Hefti, “Coral Reef,” Kings of Swing, Vol. 1: I have always been a huge fan of big band music from the 1940s. Perhaps it is from my grandmother on my dad’s side, for whom this was the music of being a teenager. Maybe it comes from playing in jazz band in high school and naturally playing a lot of big band classics. This was rock and roll before rock and roll, but with a lot more glamour, and frankly, significantly better musicianship. Well, that was fun. And remarkably fast. I’m already into Oasis’ “My Big Mouth” from Be Here Now, which I bought in South Africa in 1997 the day it came out. I think this could become a regular feature. In an effort to purge the memory or a particularly poisonous discussion, someone on WSO had the brilliant idea of a Beautiful Voices post, which features great vocal performances, including one by a current Eph. A prior WSO thread inspired an impassioned pop music discussion here (hopefully PTC will return from his hiatus soon! ); I think it’s time for an encore. What are some of your favorite voices? Mine include Nina Simone, Morrissey, Glen Hansard, Robin Pecknold (of Fleet Foxes), Sinead O’Connor, David Bowie, Cassandra Wilson, Johnny Cash, Nick Cave, Matt Berninger (of The National), and Neko Case. I’ve seen all of them live, other than Cash and Simone, and like most truly great voices, it is impossible to capture just how powerful and haunting they are without seeing them in person. In addition to the pros, I’d be curious to hear about any particularly memorable singing performances (especially by classmates) you heard during your time on campus. Check out the latest from the Zambezi Marimba Band and Kusika. View prior Zambezi performances here. EphBlog is powered by WordPress and delivered to you in 1.524 seconds using 56 queries..